We were looking at the costs and problems associated with buying the freehold of leasehold properties for last week's Finance Fridays. With another cold snap forecast for the UK we are talking about switching energy suppliers this week. Last week npower announced that from 16 March 2017 they will be rising the prices for those on their standard variable tariff. This will mean electricity prices to rise by 15% and gas by 4.8%. For those on a duel fuel standard tariff this will be 9.8% which equates to an average bill increase of £109. If you're one of the 1.4 million npower customers on a standard variable tariff there's no need to panic yet as you have several choices. This also applies if you are on the standard variable tariff with any of the other energy suppliers as they will probably announce price rises in the coming weeks as well. Change tariffs with your current supplier – If you have an online account already then log on and find the section that deals with changing tariffs. 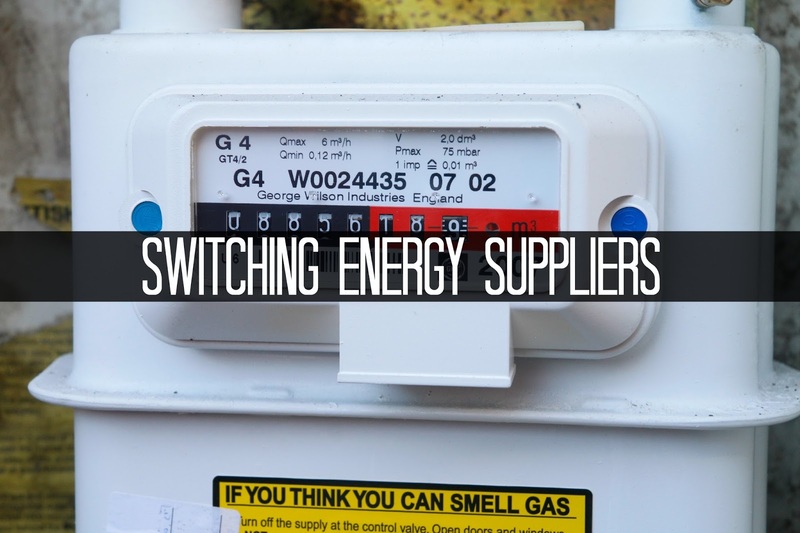 Your energy supplier should give you the current options available without you needing to enter any further details. Along with giving details of the tariffs such as fixed, price freeze, online etc they should say how much each tariff will be higher or lower than what you are currently on. Fixed price and 'price freeze' tariffs should ensure that the price will remain the same until the end of the stated period. Of course your own bill could go up or down depending on your usage. If you choose one of these tariffs you will be tied in until the deal ends or be required to pay an exit fee. Online tariffs will require you to read your own meters (if you don't already have a smart meter) and send the figures via the company's website. You will also receive the majority of your correspondence by email rather than being printed out and posted to you. You will also need to set up a regular direct debit instruction rather than paying by cheque or over the counter at a bank or Post Office. Duel fuel tariffs give you a discount for taking both gas and electricity with the same supplier. Usually it is cheaper to have both your gas and electricity supplied by the same company. Switch to another supplier – Before you switch check first that you are able to switch suppliers without incurring an exit fee. There are several comparison sites that will try to work out the best deal currently available to you. If you are asked to enter what you are currently paying or how much fuel you use always enter your fuel usage figures as this will be the most accurate. Once you have entered your details a number of different suppliers and their current tariffs will appear. Do bear in mind at the moment that many providers have said they will keep their current prices until the end of March 2017. This means fixed rate deals won't be affected but other tariffs with a variable element to them may see prices in the coming weeks. Once you have decided which company you are switching to apply to them to move from your current provider. If you owe your current provider any money you will need to settle any debts you have. Make sure you take meter readings so both of your providers know where to finish and start from. After this your new provider should then arrange the switch. It may take a couple of weeks to finally go through so do be patient but make sure you keep an eye on things. Do you know what type of energy tariff you are on? Have you switched providers before? We were joined last week by Eileen with her ingenious ideas on how to save a deposit for a house. If you want to join in with this week's Finance Fridays then add your link to the linky below. Any post concerning financial matters is allowed. Full details here. It doesn't have to be published today as you have until 23.55 on Tuesday 14th February 2017 to join in. Another price rise for utilities on the horizon (groan!) Thank for the timely reminder to check our tariff. I do know what tariff I am on but will plan to make time over the weekend to check out rates at other suppliers. Oh, I really need to check our plan...it is on my list. Wow, I actually didn't think energy prices could go up any further. I do think suppliers count on us not bothering to shop around once we're on a contract with them, but I've always managed to save money by switching once I've come to the end of my initial term. Good reminder. Helen. The sad fact is that only about 16% of folks actually switch suppliers. We are switchers! It does feel at the moment like everything is going up which is really worrying. I must admit I am part of the energy saving club with Martin Lewis's Money Saving Expert and it emails me when I could be saving money on another tariff which is really handy and I change quite regularly. We switch roughly yearly now. Like Nikki I am part of the energy saving club and now buy my power through their deals. I really need to switch providers. We pay through the roof and I know we can save so much. It's just laziness stopping me!